August is here! We can't believe that it came so soon as we have been busy having summer fun. We now start to think about heading back to school next month as we transition to the fall. For the time being, check out these fun activities to enjoy the last summer month as a family." When your baby is interested, possibly after a diaper change, say "Let's count your fingers and toes." Gently touch each finger and then clap and say "You have ten fingers!" while smiling to show happiness. Encourage your baby to return your smile. Go outside and fill a shallow tub or kiddie pool with a small amount of water and place your baby on your lap. 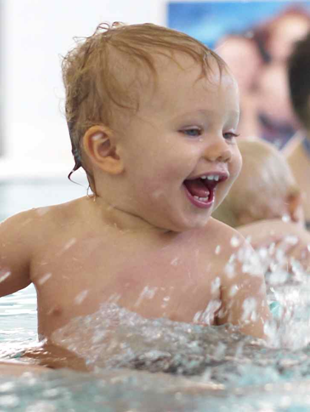 Show your baby how to use his or her hands to splash the water and encourage him or her when he or she does. Safety Note: With any water play, supervise your child whenever there is water around and remove the rub or pool when you are done. 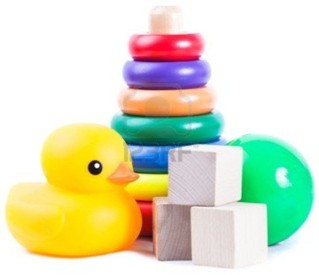 Sit with your baby with an assortment of small toys. Offer one to your baby. After he or she takes one toy, offer another, encouraging your baby to hold both. Practice giving one toy back, taking a third, and trying to hold several toys at once. Provide an assortment of containers with lids such as empty, clean margarine tubs, cardboard boxes, plastic eggs, and food storage boxes. Encourage your child to open and close the containers. Safety Note: Be sure that any recycled food packaging you use has been cleaned and dried. Practice moving to the words "fast," "slow," "high," and "low." Play music with different tempos and encourage walking, jumping, crawling, hopping, and skipping with the tempo. Build a ramp by propping a piece of wood or cardboard on a chair or table. Encourage your child to roll balls down the ramp. For added fun, put an empty bowl or box at the bottom of the ramp and try to get the balls to roll inside. If the mixture is too sticky, add a little more corn starch. Sidewalk Fun! 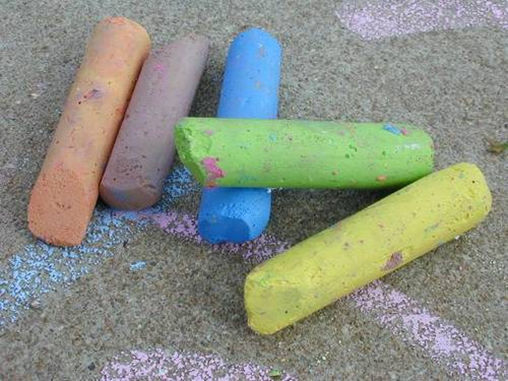 - Bring out the sidewalk chalk and figure out new creative games to play. 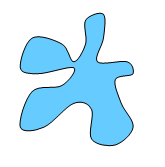 Draw a line and invite your child to think of different ways to get across it - jumping, running, hopping, walking, skipping, crabwalking, side stepping, and more. Play hopscotch. Make finish lines for races and relays. 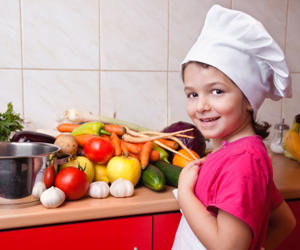 Junior Chef - Find child-friendly cookbooks and allow your child to choose some recipes to help you make or make themselves (depending on the ingredients and utensils needed). Feature their creation at a special family dinner or cookout.